The Cubs Are in the World Series! Better Get That Ice Bucket for Your Party. We’re speaking, of course, to the Cubs themselves who without a doubt are looking at a veritable miracle here of mammoth proportions. Let’s break it down for you: this is a baseball team without a Pennant win since 1908. For those a little slack on the math, that’s more than a decade of coming short and facing the stigma of a crappy team even though Wrigley Field holds the honor and nostalgia of something baseball’s known for: peanuts, crackerjacks, and Babe Ruth. Face it: the Cubs represent the ideal…. And for all of those years, they just couldn’t hit it out of the ballpark! Until now…. Grab the ice buckets, man. And not just for the ball club. But anyone. Businesses. Sports clubs. Fraternities. You name it. With that ice bucket, you’re letting everyone know you’re a part of the miracle. We’re, of course, speaking to Chicago hopefuls biting their fingernails especially after watching the latest game at Wrigley and seeing the Cubs commit magic unlike anyone has ever seen. Have you ever seen a crowd go absolutely nuts like that at a baseball stadium before? I didn’t think so. That’s branding for you: an ice bucket with something that speaks to your dedication to the sports team you adore. Heck, even if you’re a Wolverines fan for college football, and you’re a fraternity there at U of M, getting your own hefty ice buckets in the yellow and blue to celebrate the win against Spartans just makes gold and memories. Unfortunately, you can’t get the actual logos to your teams printed onto your ice buckets — but you can pay homage to them in creative ways, and we can help with that! Think of man caves, too. Primo stuff to have in the pad, branded big time and reminding everyone that you’re a fan. You’re dedicated. You’re a part of the team. It’s been a huge year for sports and will continue to be especially when such miracles occur, because don’t forget: this World series features two hopefuls, two Cinderella stories. The Indians and the Cubs. That right there makes for a great night of watching baseball, drinking beer, and glancing at the branded ice bucket to see if there’s anything more. That’s creative. That’s innovative. But also useful. I’d venture to say that it very well may be a life-saver in a dire situation (especially during the summer). You can learn more about how to use your ice bucket right here, too! BRAVA Marketing Promotions specializes in producing high-quality promotional merchandise and unique custom printed products. 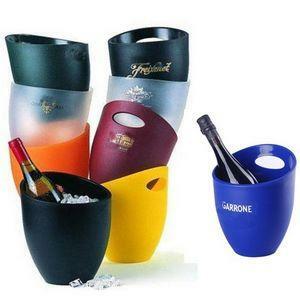 Check out our selection of ice buckets right here. Honestly, this should be a no-brainer, but you’d be surprised at how many won’t think outside the box for company picnics or church outings, especially when they stick within the square based on what it is. It is a branded ice bucket. It, therefore, can’t be used for anything other than ice. We get it. However, we’re all creative people here, and when you give that ice bucket as a gift, you’re basically telling the recipient that he or she’s a creative individual capable of breaking ground and making things happen beyond a person’s imagination. And Here’s an Example of How a Versatile Ice Bucket Can Serve You Creatively: Potato Salad! Go ahead: do a double-take. Potato salad. What the heck does that have to do with any versatile promotional ice bucket? Plenty, actually. Think about it. Any ice bucket has the means to insulate cold temperatures, so let’s just say you’ve got a few hours before your next business function, and you want to keep that potato salad cold. What do you do? Grab that versatile ice bucket of yours, fill it up with enough ice and then stick your potato salad in it. Problem solved. it does sound a bit too good to be true, but keep in mind: that lidded ice bucket is so sealed that you’re dealing with containment that could withstand a nuclear blast. So rest assured: your potato salad is going to be just fine. You get to feature your business or church at an event with your ice bucket, keeping cool food for a party or picnic. It says a lot about a business when you even have the means to promote your business when having fun in the sun, eating potato salad with your employees! Even transporting it is a breeze as you can put potato salad either in a container or even a plastic bag, pop it in that versatile ice bucket, and go wherever you need to go. Easy as pie. Or potato salad, if you will. You’ve got a plethora here regarding uses for your versatile ice bucket. All you need to do is click and learn the ropes. That promotional product’s no longer just a conversation piece. It’s a life-saver (for your potato salad). BRAVA Marketing Promotions specializes in producing high-quality promotional merchandise and unique custom printed products. 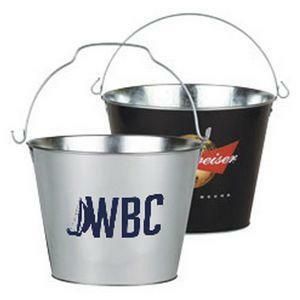 Check out our branded ice buckets right here as well. That’s the key. Your branded ice bucket for your flower shop doesn’t have to be a plain Jane single-use item you received from your CEO as a Christmas gift. If you’re going to promote your brand with your product, promote it with your displays of your product as well! First off, you need a crystal ice bucket (yes, those kinds do exist). Go for that style, and you’re in for not only a functional ice bucket, but a decorative one. Pour some colored or clear glass marbles and even pebbles, stick some arranged artificial decorations, and you’ve got yourself an art-deco style type conversation piece pitching customers on your brand and maybe upselling them on not just the flowers, but the ice buckets to go with it. You can learn about more uses for your ice bucket right here. Who would’ve known that you’ve got such a useful product? The sky’s the limit with BRAVA Marketing, and now you’ve got the goods with these ideas to make not only your business thrive, but your recipients thrive with the best way to market you, and benefit them in so many different ways. And you did it all with just an ice bucket! Aren’t you glad you’re reading this blog? We’re glad, too. BRAVA Marketing Promotions specializes in producing high-quality promotional merchandise and unique custom printed products. 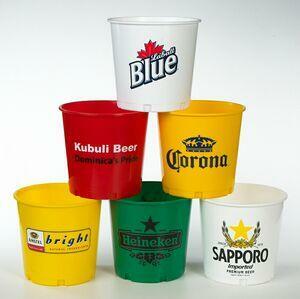 Check out all our branded ice buckets right here. It’s hilarious how many want to frown on the mundane, at first, over the concept of ice buckets. Like they’re just too plain. 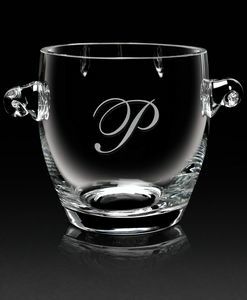 Sure, you use them to fill up with ice — but as branding gifts? A form of promotion? Wouldn’t snazzier products make a better difference? Not so with this list. Branding Your Favorite Sports Team — When you think about it, that’s what an ice bucket is (at least with a lid), but here’s why this is such a creative idea. A Readymade Potato Salad Container — Okay, so why is this such a big deal? Think of buffets, or maybe you’re entertaining a few of your clients. Check this out, and you’ll understand why. A Versatile “Flower Vase” — Depending on the style of the ice bucket, you’d be surprised how well this one can go. Read about it here. You can only imagine the possibilities…. And possibly very soon you’ll see even more uses for ice buckets here, bringing in more value for you and for recipients of your promotional products. It only gets better from here. All you need to do is be creative. One thing’s for sure: ice buckets tend to spark the creativity!